If you are looking for a nice-but-not-expensive unisex present for Christmas – I have a great suggestion! 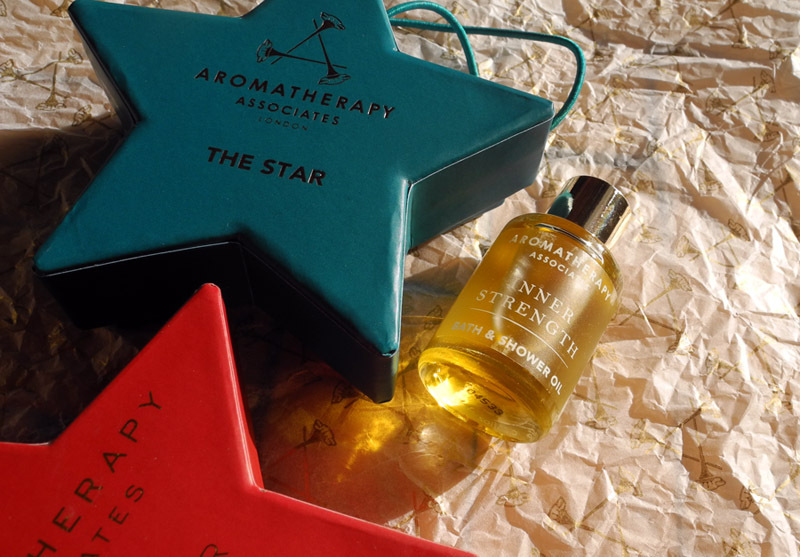 Try Aromatherapy Associates’ The Star Bath And Shower Oil. They bring a new one every year, and I even bought myself one two years ago because it looked absolutely adorable (see the red star on the photo), plus it contained my all time favourite Deep Relax. This year ‘The Star’ comes in a turquoise packaging and contains Inner Strength Bath and Shower Oil. I wrote about the candle from the line recently, and just wanted to remind you that 10% of proceeds will be donated to the charity Defense Against Cancer. Not gonna lie, October was a rough month for me, a lot of stress and lack of sleep. 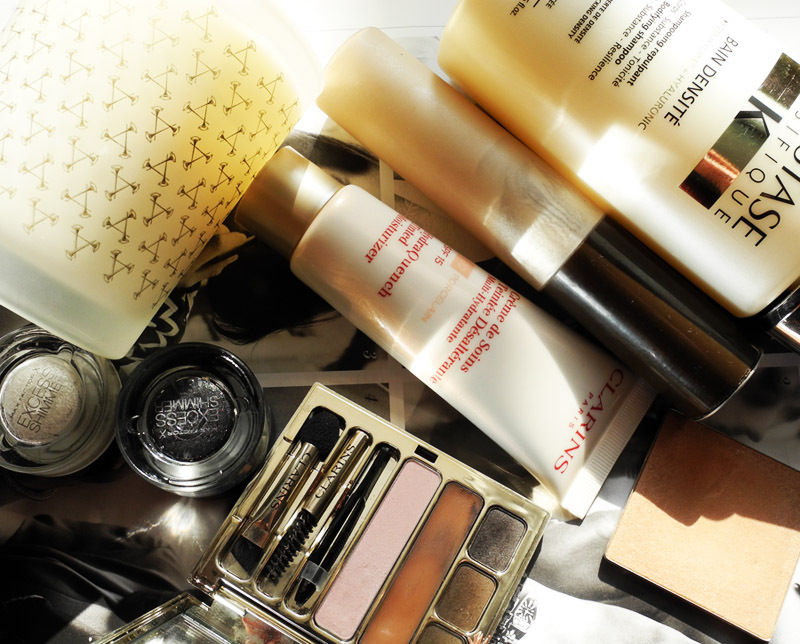 Most of the time I don’t bother with a good base that much, but this month I was constantly “rocking” dark circles, horrible skin-tone and even some breakouts. I just looked very tired in general. So to imitate the “I-am-doing-great-thanks” skin I was using my favourite Pearl Shimmering Skin Perfector by BECCA all over the face as a base to give me some glow. Since I have very dry skin, it did not look greasy or shiny on me, in fact, I loved the effect. 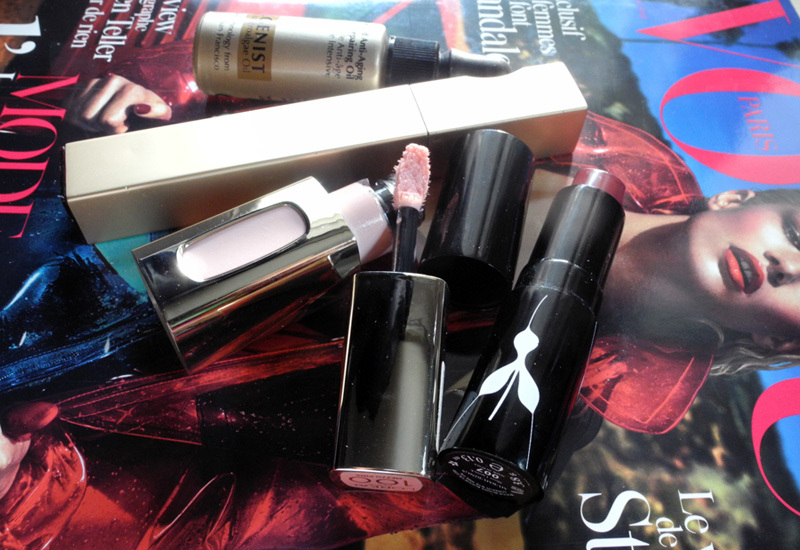 Then I followed with Clarins’ Tinted Moisturizer, which is one of my favourite products for face, ever. Read the review to find out why it is that special. I want to start with a product that I wear pretty much daily – Clarins Be Long Mascara (review), this is one of the best mascaras I have ever used. You can get a subtle look, with defined long lashes, but you can also build it up for an intense look, is really works! Not to mention that the formula makes the lashes grow longer with time. I have already recommended Be Long to some of my friends, you would recommend it to you, too. The other two makeup products are for lips. One is for a subtle effect, and the other one is a bolder option. 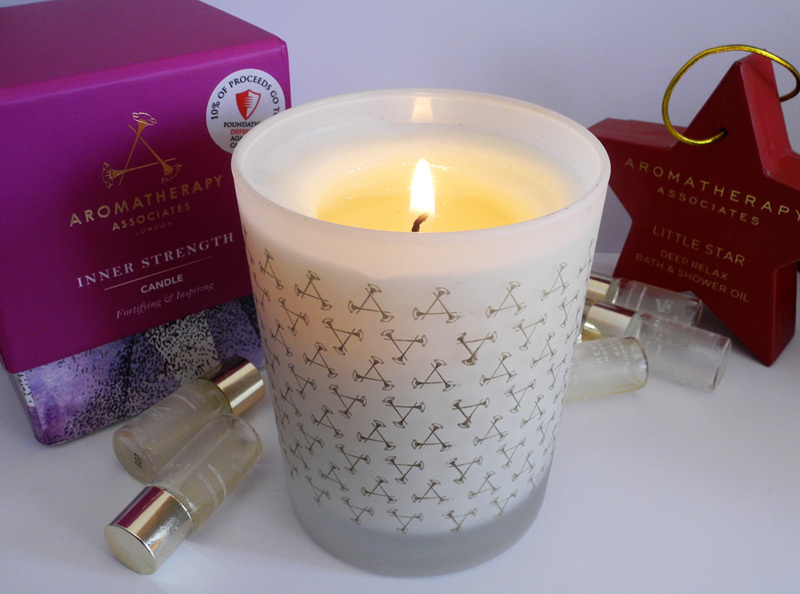 Regular readers probably know that I am a big fan of Aromatherapy Associates , and their Deep Relax candle is in my top 3 which is why I am happy to share about their newest candle. Especially considering that it supports a very good cause! 10% of proceeds will be donated to the charity, Defence Against Cancer. I had a Holistic Silk Relax Eye Mask on my wish list for a very long time but it was very hard to justify an almost £50 price. But when I saw that several months ago Aromatherapy Associates were giving away an amazing gift with purchase with this mask, I just went for it. So what is so special about this mask, anyway? 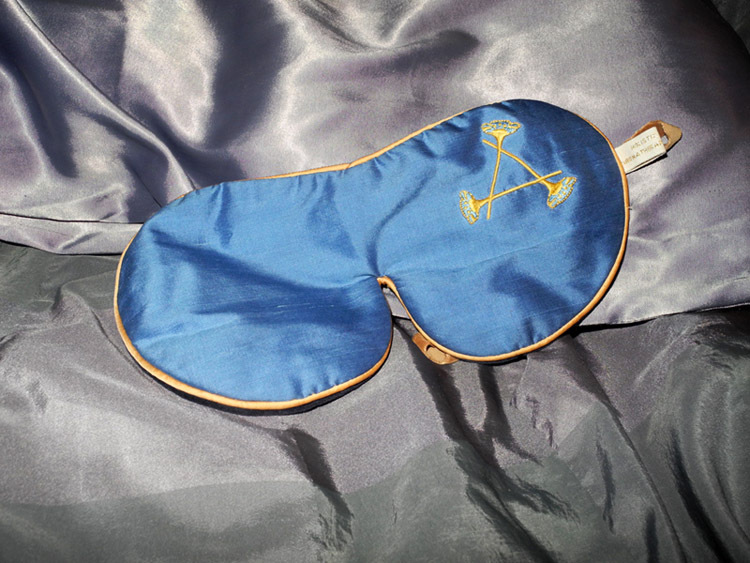 It is a lightly cushioned eye mask that has dried lavender inside. Plus, the velvet lining feels soft and nice against the skin and blocks the light. Not to mention that it looks incredibly beautiful. Yes, when you pay this much every little thing matters.